I have two paintings being displayed this month in Reno, NV. "Red Jacket" Oil on Panel 8"x10"
is at the Sheppard Contemporary for the 2014 Valentine Auction Biennial. The reception is on February 14th from 5:30-8:30 pm. 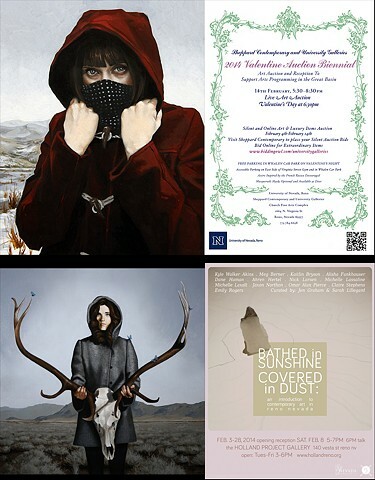 You can bid on any of the pieces in the exhibition from February 4th until 6:30 pm on February 14th. "Hallow Ground" Oil on Canvas 20"x20"
is at the Holland Project Gallery for Bathed in Sunshine and Covered in Dust, an introduction to contemporary art in Reno, Nevada. The show runs from February 3rd until February 28th, with the reception on Saturday February 8th from 5-7 pm.